Expanding internet access to developing countries is something that numerous companies have become interested in doing. Google is already forging onward with its Project Loon initiative which will use balloons to spread internet access to large areas. Outside of Loon, Facebook has partnered with a plethora of companies through internet.org which has a very similar goal. Internet.org, which was unveiled in 2013, aims to connect the billions of people who have no access to the internet. While the Facebook-run initiative is promising, physical plans to expand internet access have yet to be made public. 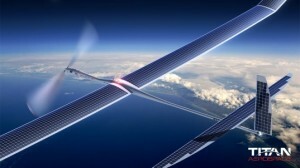 However, a new report from TechCrunch is suggesting that Facebook will acquire Titan Aerospace, a drone company. Titan Aerospace currently manufacturers drones and recently announced a new line of solar-powered machines. These drones, according to today’s report, could be used by Facebook in the same way that Google is using balloons. Unlike Loon, however, the drones from Titan could prove to be even more effective since they would practically have an unlimited source of power, making it much easier for the project to get up and running. Facebook CEO Mark Zuckerberg stressed the importance of internet.org last month during Mobile World Congress (MWC) 2014. In an interview, he stated that breaking down the barriers to internet access is crucial to nations that are in the process of developing. Zuckerberg also notes that by providing a source of reliable internet access to people in these countries, 140 million new jobs would be created while also lifting 160 million people out of poverty. The overwhelming interest in the internet.org initiative that has been shown by Facebook and particularly its CEO suggests that it may actually be worth buying Titan Aerospace. Considering that both Google and Facebook rely on new users for growth, opening up their potential user base to an additional 4 billion people could be very beneficial for all internet-based companies. Summary: Facebook is reportedly in talks to acquire Titan Aerospace, a company that currently manufacturers drones. The machines made by Titan could end up being used by Facebook to bring internet access to the billions of people that are not currently connected.